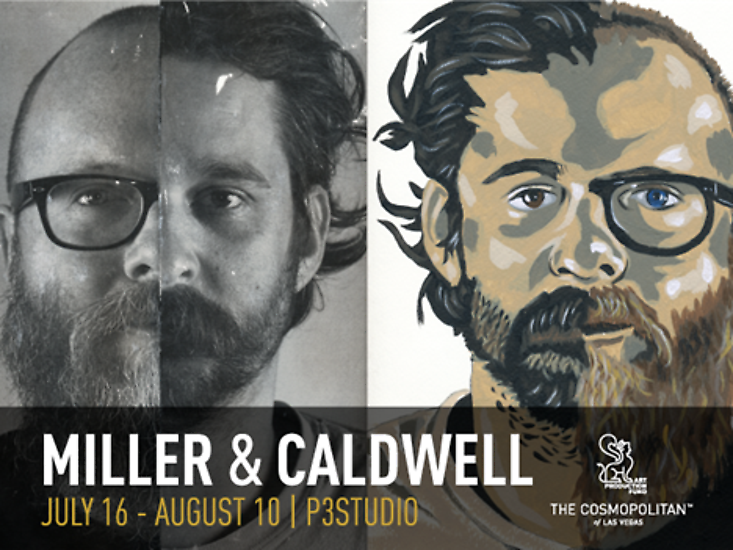 JW Caldwell, a Southern California native, draws influence from the self-proclaimed lowbrow art of his native environment as well as the high dollar art world he works in installing pieces in prominent collections. 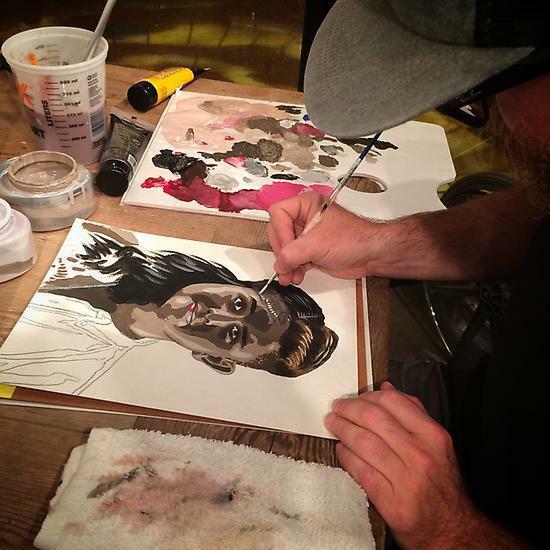 His paintings are primarily acrylic on canvas, bringing in methods he learned while studying fine art in college and working in screen-printing and scenic painting. While the themes in his works are diverse, ranging from the American West to skateboard graphics, they are all intended to be visually accessible, even to viewers not trained in art history. 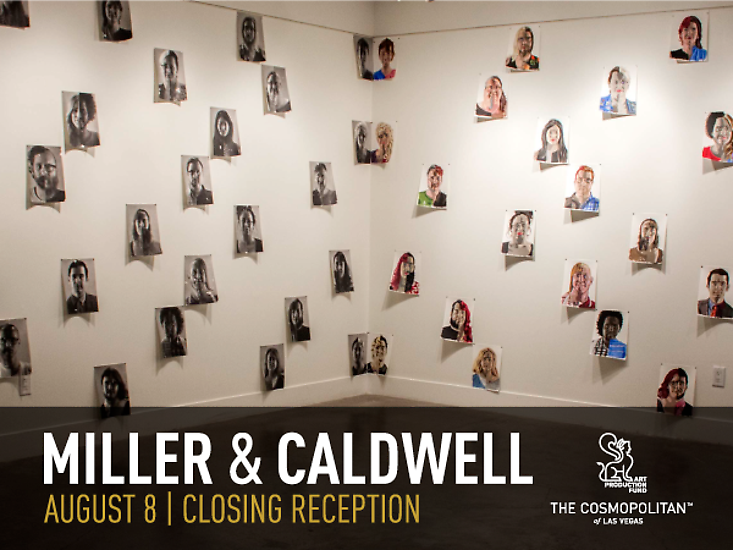 He has exhibited in galleries from San Diego to Houston and has several works in private collections throughout the Southwest. 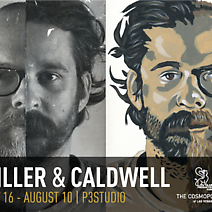 Caldwell participated in the P3Studio Artist-in-Residence program at The Cosmopolitan of Las Vegas in 2014.